Every month, billions of people use Facebook to connect with their friends and favorite brands. 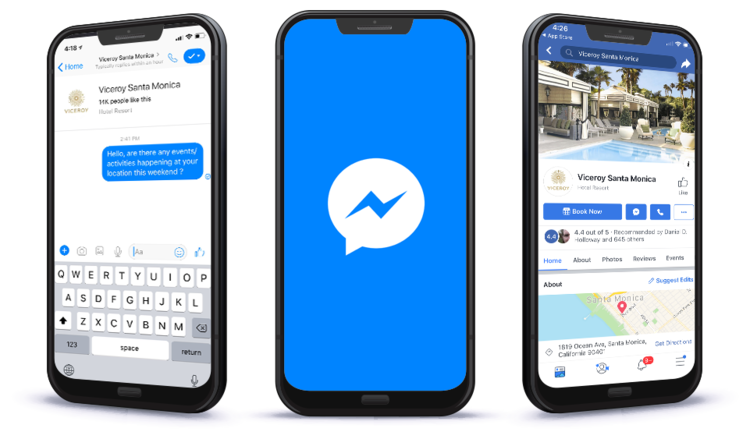 Facebook messenger for business allows brands to have more meaningful conversations with their customers. Quiq combines the power of technology with the social experience, so that Facebook users can initiate a conversation directly with your company or as a call to action on one of your Facebook ad campaigns. Customers can reach out to your company on your Facebook page, ads, or Messenger app. The choice is theirs and they control how and when to interact with your brand. Quiq allows you to extend the reach of your marketing and customer service with our Facebook business solutions. At every part of the customer journey, Facebook business chat can be used to guide visitors to where they need to go. Facebook is an excellent gateway for pre- and post-sales interactions, and an increasing amount of transactions are taking place on the platform itself. 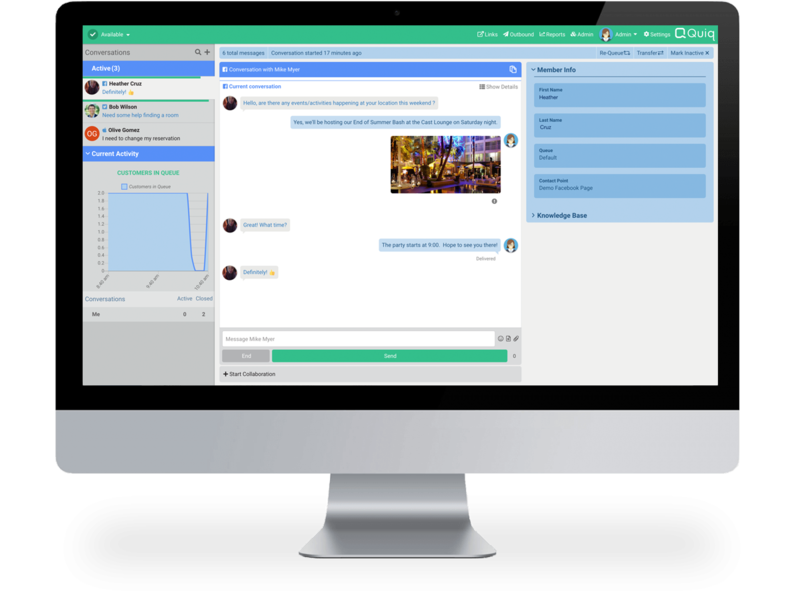 Quiq’s rich messaging system allows you to share images, videos, and set appointments via chat, using live agents, bots, or a combination of both. Customers want to connect with your brand through the channel of their choice. For many, that’s Facebook Messenger. With Quiq, you can be confident in the rich messaging experience you provide, across all of the popular channels. When you’re ready to see what the potential is for your brand, try out a self-serve demo today.